You may have been guided through a detour this morning (8/21/2014) if you commute to or from Kirkland, WA. A 10-inch PVC pipe cracked around midnight on 116th Way NE, just ahead of Kingsgate Park-and-ride. While this was a relatively minor leak, the water main did break length-wise, so it took a little longer to replace. 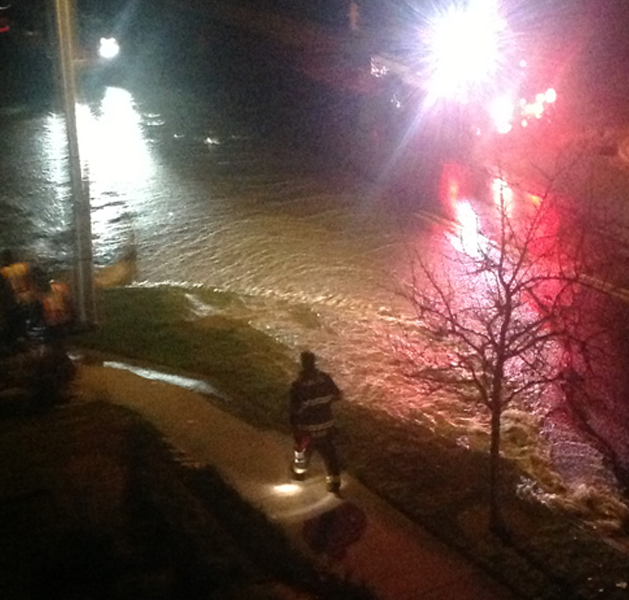 The water flowed past an apartment complex, but remained on the street. In fact, aside from commuters, no residence have been affected by this incident. Water still flows generously through the plumbing of every house in the neighborhood. While the water may have some discoloration, it is safe to drink. The damage was repaired by 2:30AM. If you ever have a pipe burst on your property, be sure to call a professional water damage Seattle company to stop leaks and repair your plumbing just as quickly. What should I do when the Cities Water Line Breaks? 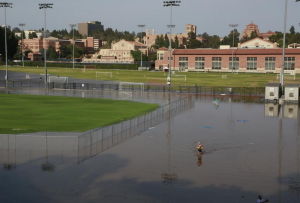 The Northshore Utility District had this emergency under control immediately, but there are instances, such as the recent University of California Los Angeles flood, where the effects from a water line break can be much more severe. In cases where leaks or ruptured hoses bathe your home in an exuberant amount of H2O, call a company with professional water damage Seattle services for water extractions because they will be able to help with mold decontamination and plumbing repair as well. If your home is unaffected by the pipe burst, you still need to be cautious of the water supply until the city has a grasp on it. If you find discoloration in your water, run a faucet from the highest room in your home for 15 minutes until the tap is clear. The best way to avoid ingesting bacteria is to boil water during a broken water line. This kills all contaminants. Can I still get to the Kingsgate Park-and-Ride? The 116th Way entrance of the Kingsgate Park-and-Ride is closed, but the 128th Street entrance is open. If you need to drive through 116th Way anywhere between NE 132nd Street to the Park-and-Ride, expect to be diverted to another road throughout the day. 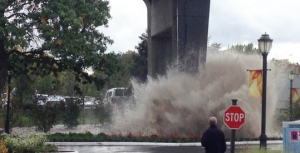 While the main has been fixed, the water damage restoration could take a while because the road buckled underneath an overpass where the flood pooled. Repaving efforts will be underway throughout the day to, hopefully, make your evening commute a little smoother. When a pipe burst erupts, big or small, on city property, or your own, the best way to handle it is be prepared. Boil your water and call the water damage Seattle experts for help.